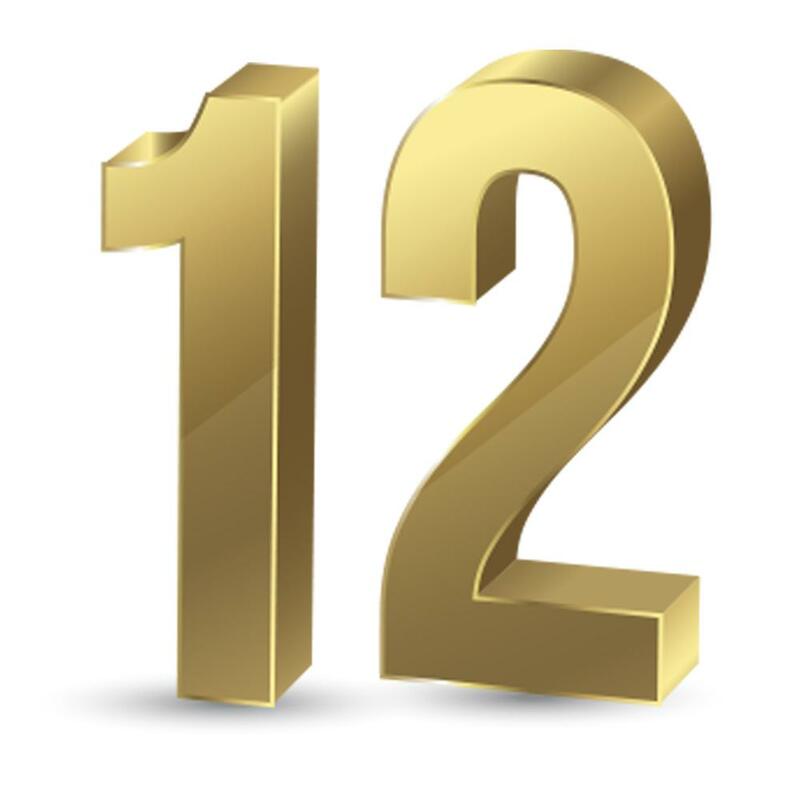 The number twelve speaks of governmental perfection or rule and apostolic fullness. Moses built twelve pillars on Mount Sinai (Exodus 24:4). Twelve spies were sent to spy out the land (Deuteronomy 1:23). Twelve stones were set as a memorial after crossing the Jordan River (Joshua 4:3). Twelve stones were attached to the breastplate of the priestly garments bearing the names of the twelve tribes (Exodus 39:8-14). The New Testament records the number twelve many times. Jesus speaks His first words at the age of twelve (Luke 2:42). Later, He chooses twelve disciples. Twelve baskets of fragments were collected after Jesus fed the five thousand (Mark 6:43). The Book of Revelation says there are twelve gates to the city, twelve angels as gatekeepers and the names of the twelve tribes written on the gates. The gates are twelve pearls and the wall will be on twelve foundations which bear the names of the twelve apostles.